Despite the game being several years old, and despite taking several six month breaks from gaming to study for CFA® Exams, I continued to play Sid Meier’s Civilization V even after Beyond Earth came out in the hopes of reaching a milestone of sorts. I don’t have a lot of time for gaming. It took me several years of exclusively focussing on one game to get 1000 hours of playtime in. Taking six plus months off causes you to forget things and I never played optimally to begin with. There must be another computer game I played for a 1000 hours back in the day, but I have been a loyal Sid fan for many years, since the days of MicroProse. Soon I will begin studying for another CFA exam as sadly even six months of studying is not enough for some people to pass. 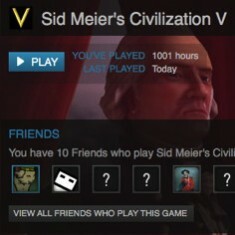 I doubt I’ll ever play another video game for 1000 hours. I think casual gaming is taking over and the industry definitely tries to sell you a new bigger better game every year if not every quarter. People who stick with something for a 1000 hours are rare. When I play Civ V now I take careful notes of my opening. Part of the impetus to get to 1000 hours was to try and refine my strategy but also to try out unusual tactics. I still haven’t won with every leader, however I began to tick them off, earning badges is definitely a motivation in modern gaming, alas there is no badge for playing for 1000 hours. I refuse to earn the “I can has nukes?” badge and I almost never play the scenarios which account for many many badges. I don’t know if I have the time or energy to earn too many more badges. Over the last couple years I’ve hardly played any Warhammer 40,000 and I could have painted a lot of miniatures in 1000 man-hours. Scarily I’m not sure Steam’s count is 100% accurate, I took the ‘money shot’ after winning as Pedro II. Towards the end I started playing the Game of Month challenges over at CivFanatics to provide further impetus to 1000 hours. It is now September 2015 and not a lot has gone right in my life the last ten years, I certainly didn’t waste my time playing video games, though I undoubtably wasted too much time, but I did try hard to get a job in the industry. I may still apply to yet more game companies, but I have considerably less ambitious career plans since doing my Sauder MBA. 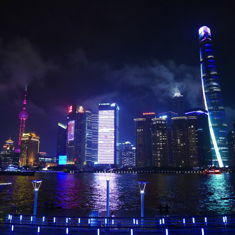 I’ll probably stay in China longer if for no other reason than I have few distractions to keep me from studying, going to the gym, and heaven forbid if I play a couple more games of Sid Meier’s Civilization V. Who knows I might even buy a new laptop someday and play Beyond Earth, I already bought it on Steam. Many seem to vilify Beyond Earth apparently it is not Alpha Centauri 2, but honestly the business model is established, release the game, sell upgrades, release game of the year edition, sell more upgrades, release gold edition, sell more upgrades. Systems like Steam allow game designers to tweak the game based on data collected from real players and Civ has a modder community too. So the initial day one release is often not perfect and sometimes it takes an expansion or two for it to have all the bells and whistles of competitors or even previous editions. I play on a Mac laptop so I often have to wait for things to trickle out, but as someone who has been an Apple loyalist a long long time, it is a pretty good time to be an Apple fanboy perhaps there are too many newbies who don’t know who Gil is or even Woz. This entry was originaly posted on September 1st, 2015 , it was last edited on March 31st, 2016 and is filed under: Gaming and tagged: Beyond Earth, Civ V, Sid Meier's Civilization, Steam.